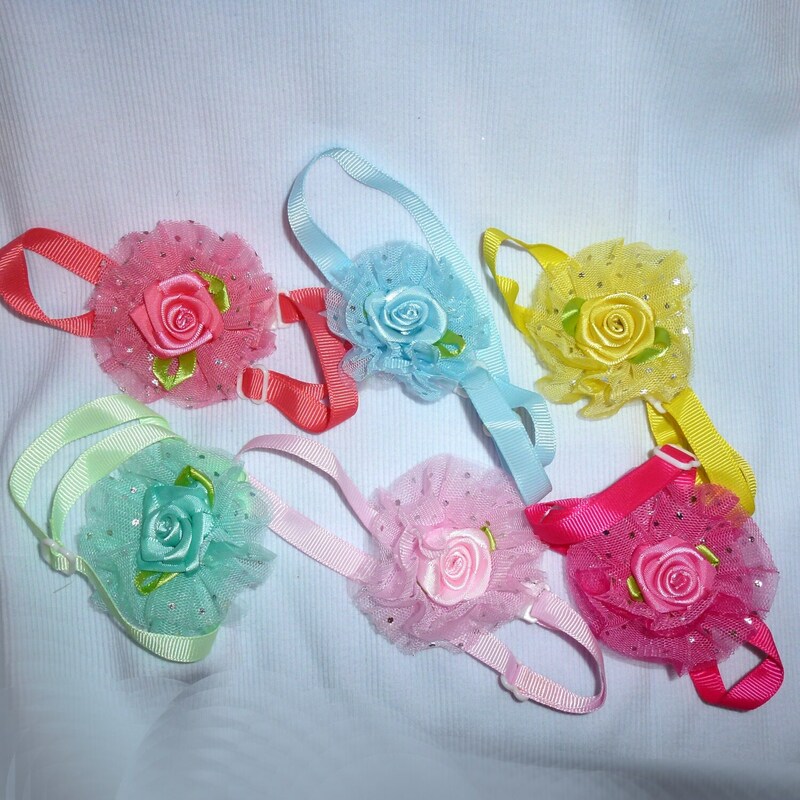 Sweet tulle and satin rose flower attached to an adjustable dog collar. 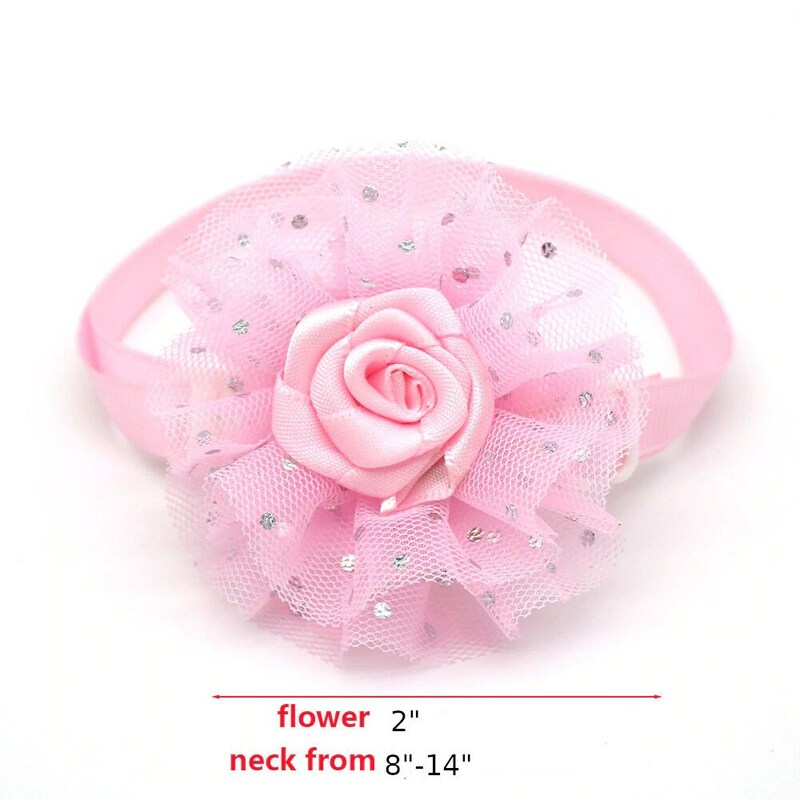 This collar is decorative only, and should not be used with a leash or for restraint. Adjustable from 8"-14" neck.